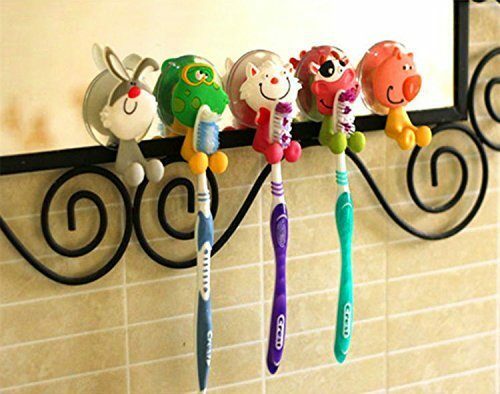 Set of 5 Antibacterial Animal Toothbrush Holders Just $4.93 + FREE Shipping! You are here: Home / Great Deals / Amazon Deals / Set of 5 Antibacterial Animal Toothbrush Holders Just $4.93 + FREE Shipping! Head over to Amazon and get this Set of 5 Antibacterial Animal Toothbrush Holders for just $4.93. And, shipping is FREE! It is designed to keep your toothbrush dry and protected from dust and harmful bacteria.